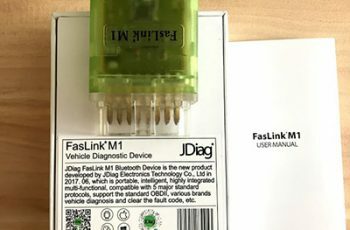 1 What is JDiag FasTPMS TP808 ? Given the benefits that tire pressure monitoring systems can provide you, the investment you will make is one of the things you will never regret. Below you will find a list of essential elements that you need to consider before making a purchase. What is JDiag FasTPMS TP808 ? 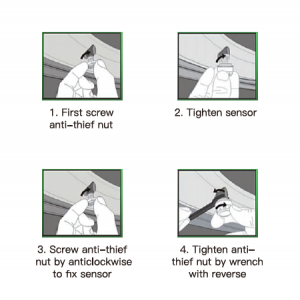 We know have two main types of tire pressure monitoring systems: direct and indirect. Choosing between these two types will affect your buying decision. If you choose directly, you will be able to adjust the pressure standard for the receiver. In addition, you will be immediately alerted when the pressure drops below the preset pressure. 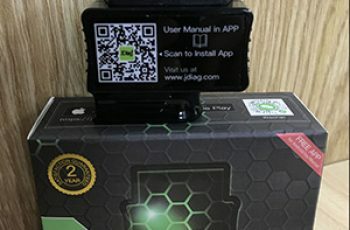 However, if you decide to purchase the equipment indirectly, it is the same as JDiag FasTPMS TP808 tire pressure monitor, the physical air sensor will not be incorporated. 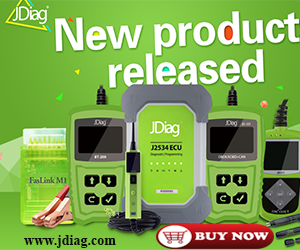 JDiag FasTPMS TP808 is new product developed by JDiag Electronics Technology Co.,Ltd in 2018. 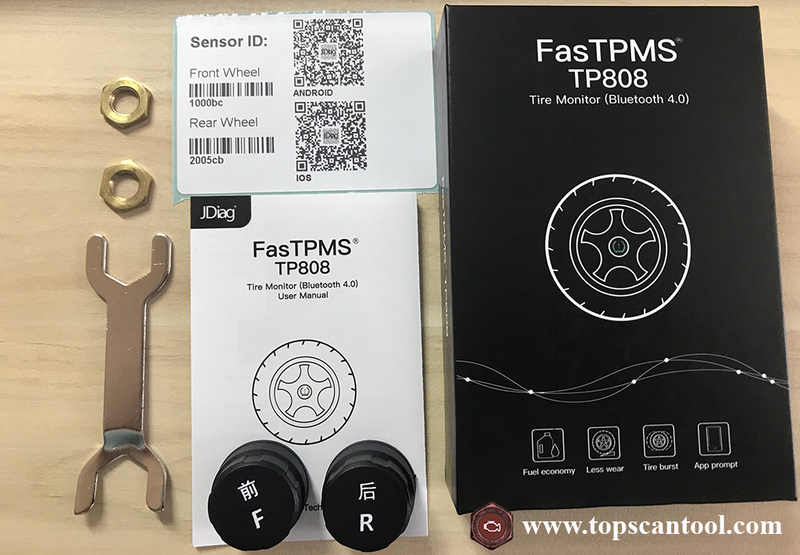 It is new generation TPMS monitor sensor with Bluetooth 4.0 BLE internal, the well designed iOS / Android. App is able to show tire pressure, tire temperature, and sensor battery condition. During travelling, tire pressure and temperature are displayed in real time and alert will be sent when statistics’ abnormal. For your safety, please read manual before using. Batteries are a very important factor, especially for adventure enthusiasts. When choosing a tire pressure monitoring system, make sure that too much heat does not damage your equipment. To add to that, some of the products that will be presented below operate on rechargeable batteries, which can be considered a great convenience. However, other people supply solar power and consider this will greatly affect your electricity bill. But you worry battery life because of FasTPMS TP808 have battery life 3~5 years. If the tire pressure monitoring system you choose can not be installed manually, we advise you not to buy it. Products with complex assemblies will take up most of your valuable time and energy, especially when you are on the go. You must consider buying one that has a complete installer. If you are ready this kit, it can help you install the device in a few minutes. With FasTPMS TP808 is easy install, you have read it in user manual. If you are looking to purchase a tire pressure monitoring system made with high quality materials, you may have to choose the more expensive type. It also does not mean cheaper units are less efficient but if you want to be sure with your purchase you have to go for the more expensive ones. 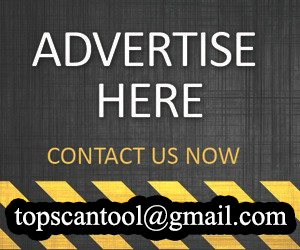 It is important that you review the features of each product and link them to the price of the product. This will help you narrow down your choices. High pressure alarm: pressure exceeds the upper limit of the tire pressure, start the “high pressure” alarm. Low pressure alarm: When the air pressure is lower than the lower limit of tire pressure, start the “low air pressure” alarm. High temperature alarm: When the tire temperature exceeds the upper limit of the tire temperature, start the “high temperature” alarm. No signal alarm: no signal can be received within a certain period of time, and “no signal” alarm is started. Battery low alarm: When the battery voltage is lower than the set value, start the “low battery” alarm. 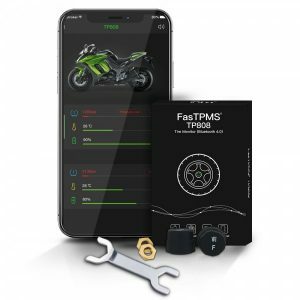 Now we have to discuss everything you need to know before you make a purchase, now you can choose the monitoring system the best tire pressure. With this review, we recommend using FasTPMS TP808 because of its undeniable precision and ease of use. It may be priced a little higher than the other models in this review but its quality makes it worth buying.